The first edition of the Red Bull Youth America’s Cup took place in San Francisco (USA) from 1 to 4 September 2013. The event preceded the finals of the America’s Cup from 7 to 21 September 2013 also in San Francisco. The Red Bull Youth America’s Cup is reserved for young sailors aged between 19 and 25. The races are organized on board the futuristic and fast AC45, catamarans with “wing rig” used during the America’s Cup World Series. To have access to the Red Bull Youth America’s Cup, it was necessary to overcome the Selection Series, useful to restrict the way and to ensure the participation of the 12best teams in the final regatta. Team-Italy powered by Stig was called in the second qualifying session, scheduled for February 18 to 24, 2013, along with Argentina, New Zealand, French, Portuguese and Swiss’s team. Team-Italy powered by Stig was the only Italian team admitted to the Selection Series, selection based on the curriculum of both the sailors and the technical team. The Red Bull Youth America’s Cup is organized on board modern and innovative AC45, multihulls to rigid wing introduced by Oracle Team USA after its success in the 33 edition. An innovation that has given new life to the America’s Cup and that has boosted its image globally. Definitely crucial for Team Italy powered by Stig was Team Luna Rossa support. 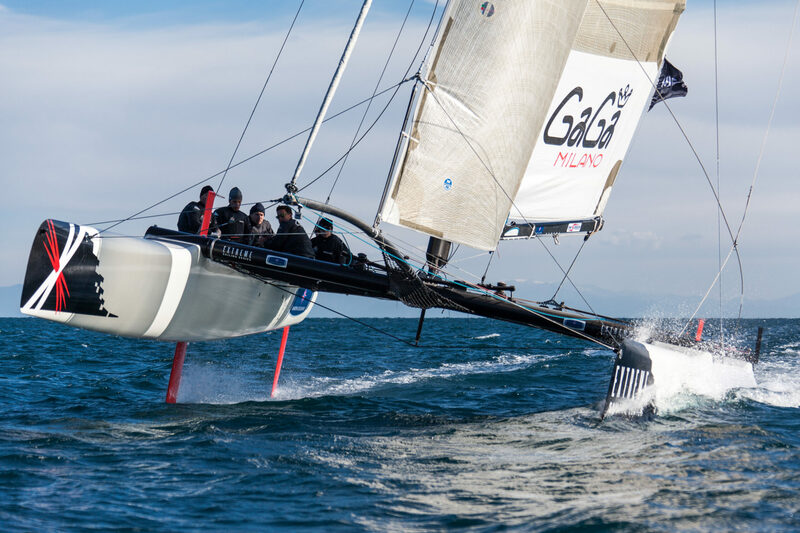 Luna Rossa in fact has provided their Extreme40 catamaran for both Team Italy Powered by Stig training sessions that took place in Loano from 5 to 15 january and from 5 to 15 February 2013.